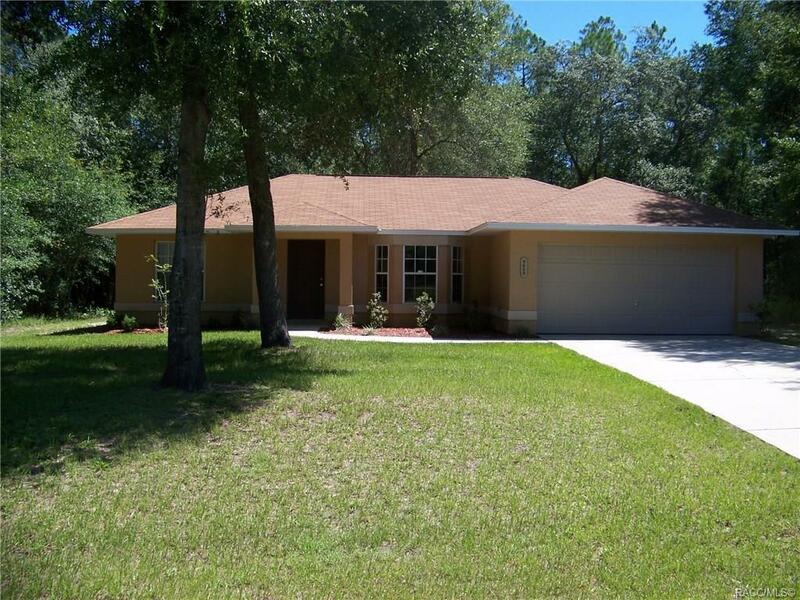 3 bedroom, 2 bath, 2 car garage with nice wooded views on quiet street yet close to Ocala, shopping, downtown Inverness, restuarants and more! Tiled living room, dining room and kitchen with breakfast bar, pantry closet and full appliances. Carpeted bedrooms with split floor plan with master offering walk in closet and private bath with walk in shower. Guest bath offers tub/shower combination. Laundry hookups in garage. Home has plant shelves and nice size closets. Directions: 41 Turn On Country Club First Right On Quarry Way, Left On Anton, Home On Left.